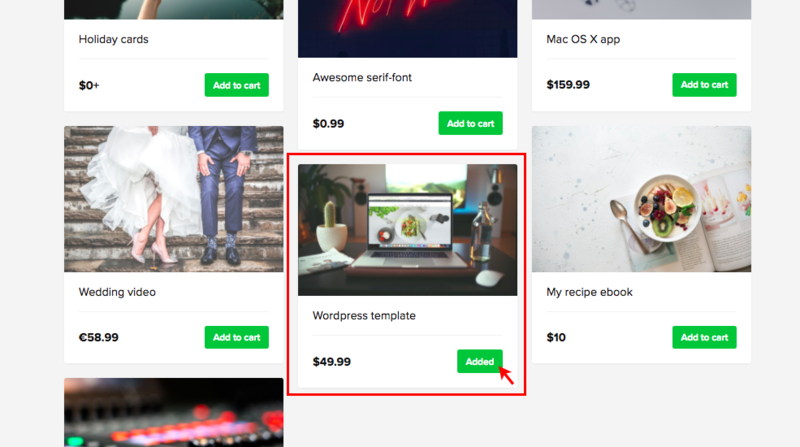 With the Upsell feature, you can sell more of your products in one go! This feature allows you to offer customers an exclusive deal while they're buying a product from you. The upsell will work both on your store page as well as on individual product pages. You can read more about this feature on our blog. Important note: The feature is available for Pro and Pro Plus users only. It's not available in the Sell Downloads app or in any of our discontinued plans. 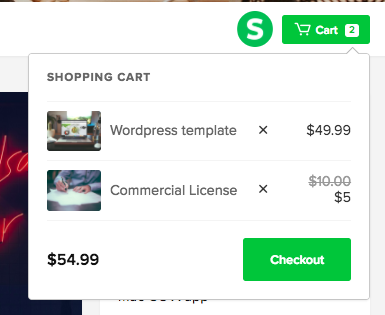 First, to be able to upsell your products, you need to enable the Shopping cart feature for your store. 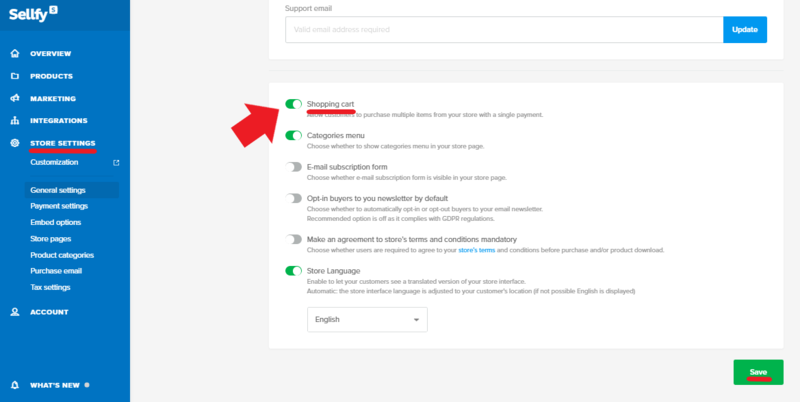 To do that, go to the Store Settings section in your account and select Shopping Cart. Switch the toggle on (it should be green). Make sure you press Save to activate the changes. There, press Add new upsell. Type in a clear and concise message to be displayed in the upsell pop-up window. The message can be up to 140 signs long, and we suggest keeping it even shorter. 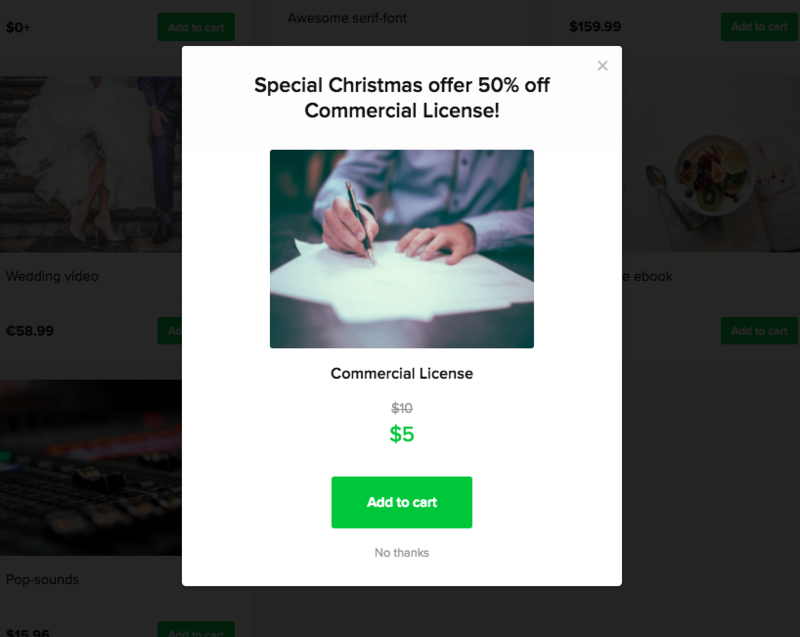 "Special Christmas offer 50% off Commercial Licence!" "24 hours left to get THIS e-book for free!" "Very special offer just for you! 50% off!" Press Save to activate the offer. 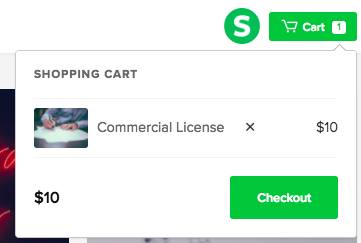 When the customer adds to cart a product which is linked to an upsold product, the upsell pop-up gets displayed immediately. Immediately after that, the upsell pop-up is displayed, which offers your customer the exclusive deal. They can either add it to cart together with the chosen product or decline the offer. If the customer adds the offered product, it is displayed in the cart like so.